3. In October of 2010, Father Juan Moreno celebrates his 50th anniversary of ordination to the Priesthood. 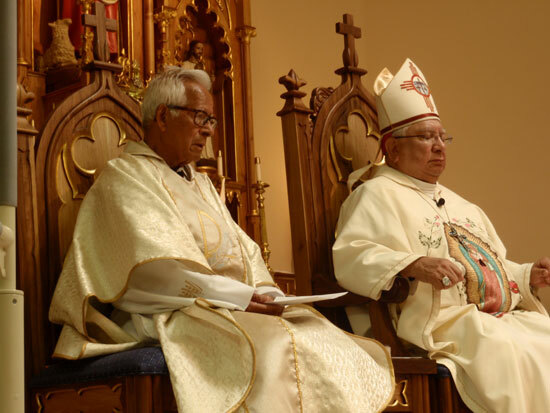 Bishop Ricardo Ramirez presides at this celebration. 4. Dia de Los Muertos – or All Souls Day, is celebrated at San Jose Cemetery. The ‘altar de muertos’ is decorated with festive colors, and framed pictures brought by parishioners. 9. The children of St. Genevieve wish you a Merry Christmas and a Happy New Year! 12. Everyone is welcome at the Table of the Lord.